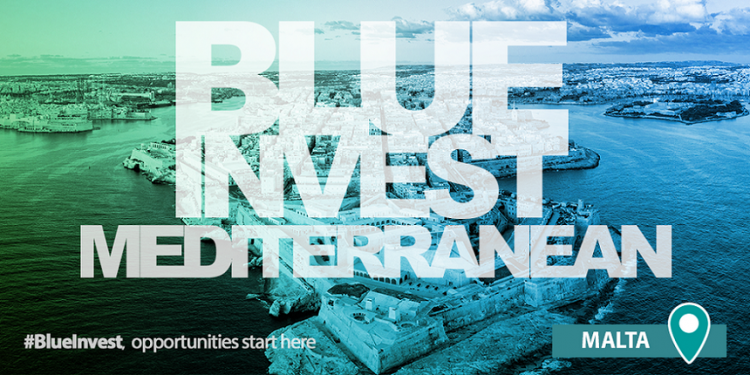 We are pleased to inform you that the Directorate General for Maritime Affairs and Fisheries (DG MARE), of the European Commission, is organizing the “Blue Invest in the Mediterranean 2019”, which takes place in Malta on 24th of January 2019. So far, important investors (EIB, national banks in MED, venture capital representatives etc) have registered to participate; thus this event is a great opportunity for both the pitchers seeking financing and any other interested blue economy stakeholders to participate in the specific matchmaking/networking event. DG MARE is looking forward to receiving more interesting applications, especially from non-EU Mediterranean countries. All interested persons are invited to pitch their innovative blue economy products or services, to a panel of selected investors. The deadline to submit pitch applications is: 28/11/2018. Please take into account that all the expenses of pitchers that will be selected and invited to come to Malta will be fully covered.